Owner & Operator Brett Barker in his hay field. Application: Mechanized irrigation, automated water metering, weather and soil moisture monitoring for improved irrigation management. ​​Challenge: A diversified grower in hay production, hospitality, and draft horse training, desired to increase their hay production without adding additional labor costs. This meant taking age-old practices of flood irrigation and updating the ranch’s water infrastructure to take advantage of today’s technologies in mechanized irrigation equipment. With continued ditch maintenance, water dams and the mud-ball method soil moisture testing, it took a great amount of time to keep things going. Due to the grower’s diversified businesses, it was a challenge to keeps things watered in a timely manner while using the allotted water shares. 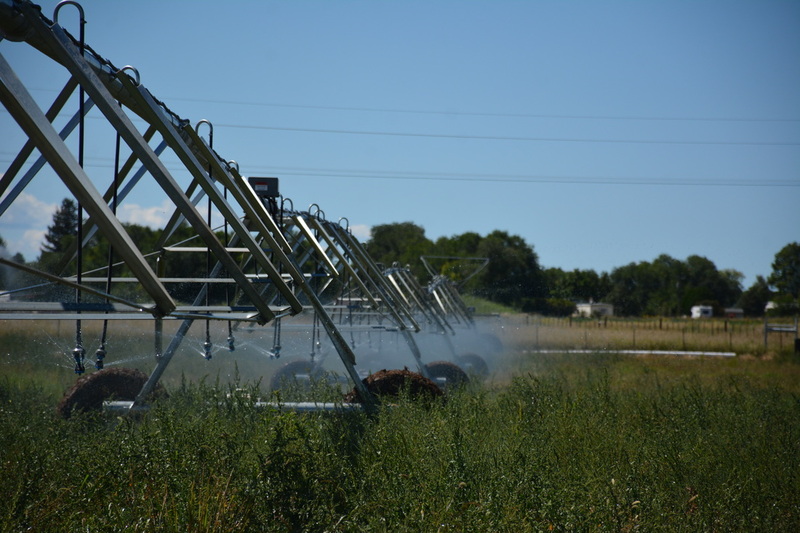 Center pivot irrigation technology has replaced the age-old flood irrigation methods. ​Challenge: A diversified grower in hay production, hospitality, and draft horse training, desired to increase their hay production without adding additional labor costs. This meant taking age-old practices of flood irrigation and updating the ranch’s water infrastructure to take advantage of today’s technologies in mechanized irrigation equipment. With continued ditch maintenance, water dams and the mud-ball method soil moisture testing, it took a great amount of time to keep things going. Due to the grower’s diversified businesses, it was a challenge to keeps things watered in a timely manner while using the allotted water shares. RS300 in use on the Barker-Berger Farm. ​Solution: With the assistance of the Natural Resource Conversation Service, the grower drafted a plan to enhance his operational efficiency through the use of mechanized irrigation and automated data collection. This plan included a new water monitoring and weir system, electronic variable rate pump controller, center pivots with precision management controllers as well as field and environmental sensor devices. With this level of automation, the grower can control and monitor their operation while attending to other business ventures. With a sophisticated field and environmental device such as the RS300, data can be collected and provided to the grower on a regular basis. 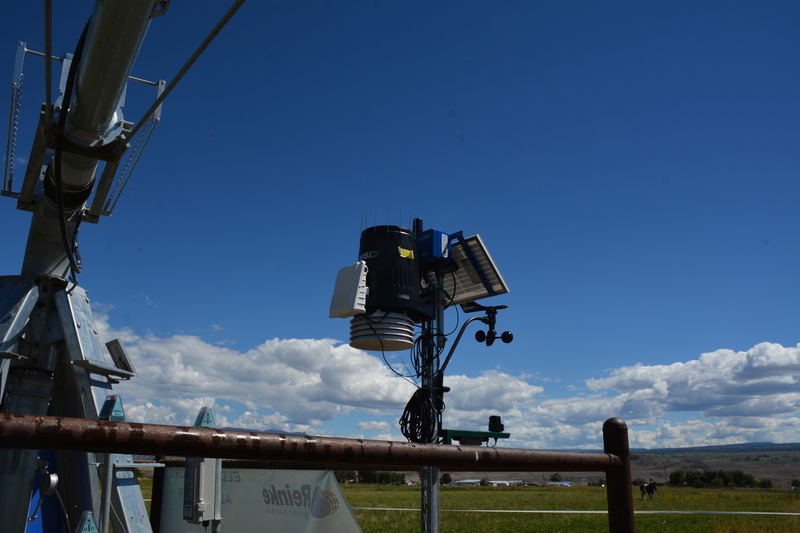 To make the best decision possible, the RS300 is collecting wind speed and direction, rainfall, temperature, humidity and solar radiation information every 15 minutes. With this data, the grower can manage an irrigation schedule to optimize water usage within their operation. 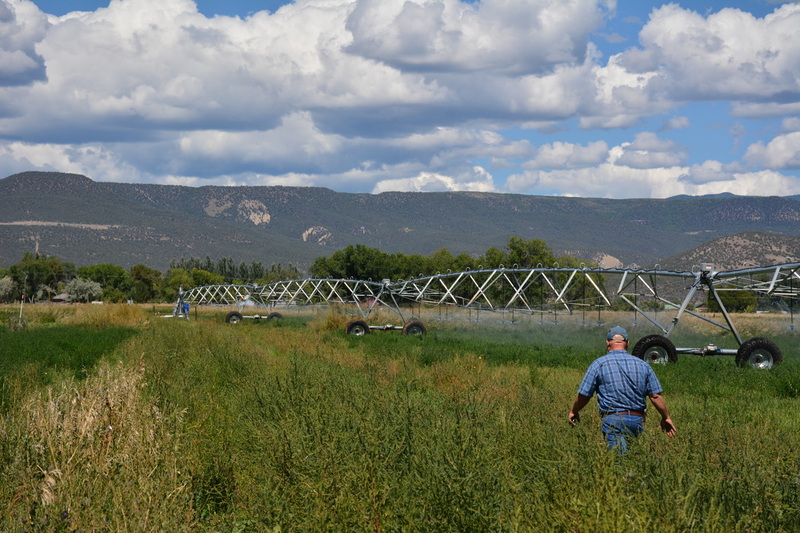 ​Outcome: With automated data collection and precision management of irrigation equipment, the grower can now control his irrigation systems remotely saving time and labor costs while increasing hay production. 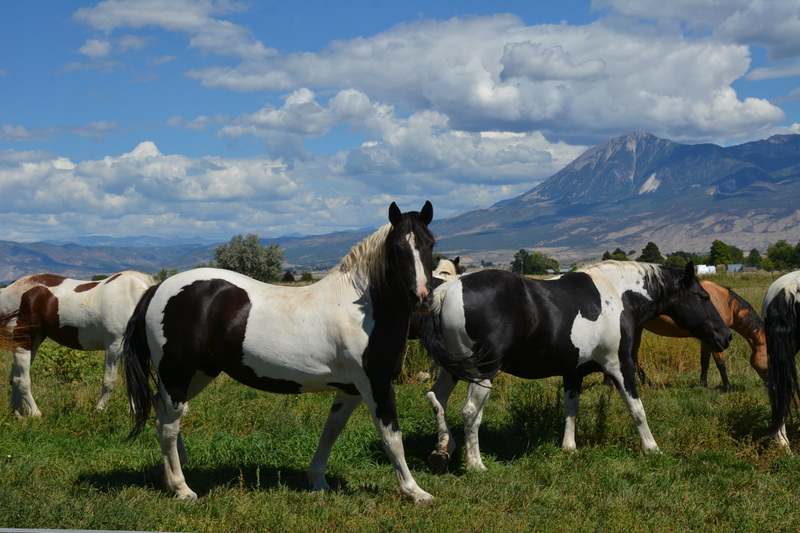 A group of draft horses know as the "Fat Chicks"